Oh Valentines Day... We're pretty against your cheesiness. In fact, we were once so against you that our first valentines together (eight years ago) we threw a "black valentine" party with black balloons & black attire & a handful of friends. Enter adulthood & we've found an appreciation for any excuse to celebrate our love. It's a special, one of a kind, unique & simple love. There's a deep understanding & confidence in ourselves & what we equally need to invest into our relationship to keep it feeling fresh & new. One of those investments is being present in the moment & embracing our ability to hold hands, hug, kiss, snuggle, cook, craft, have constructive dialogs about ourselves, our relationship & our business. 1. Breakfast Bar - The key to someone's heart is through their bellies. What better way to get the morning going than home-brewed coffee, protein, natural sugars & a side of carbs? We love a great waffle bar with a medley of fresh fruit, syrups, jams & spreads (like almond butter, here's a link to our favorite!) Gives you an excuse to whip up magic in the kitchen together. And if you want to make it a real treat with your valentine, whip it up in your birthday suit! 2. Homemade cards - Don't go out of your way to hit up a specialty store, find some paper at home, markers, ribbon, yarn or old maps to make your own cards! We had old subway maps laying around (from our wedding), yarn & paper straws. We used old stationary (thank you cards, notes from desk of... etc.) cut sheets of paper & found old buttons hidden in drawers. The results were these cute, quirky & punny cards that we still have in our love chest! 3. 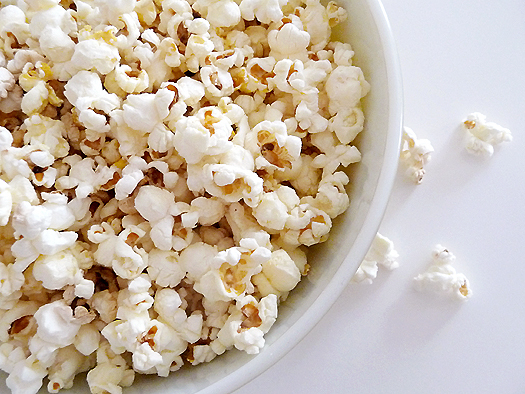 Movie night - Spend a few minutes putting together a wish list on your iTunes & cue up a couple flicks for the night. Throw all your pillows into a pile, grab blankets, make homemade pop corn & snuggle over a good film. Our personal liking are horror/docu/murder - our wish list is all serial killers & mystery. We're not the rom-com or romance type.. we like feeling like our hearts are bursting out of our chests coupled with beads of sweat dripping down our face.. but most importantly being on the edge of our seats asking each other before each scene "what do you think will happen!?!" 4. Homemade Dessert - We have a thing for food! How about whipping up these raw (no bake) chocolate truffles as seen on Jenni Kayne's blog! *recipe linked* We will definitely be making these ourselves. I mean how gorgeous are these?! And how easy can it possibly get?! With a little prosecco (check out our top 6 winter cocktails to pair with these pups) you'll be swooning & making out in no time! 5. Bubble Bath & Candles - If you're lucky like us, you have a fairly nice size bath tub that lets you spread out & relax until your fingers look like prunes. Why not set the mood by lighting some candles (we love this one, this one & how bout this amazing diffuser?!). If you don't own a good candle, this is that area we say surprise your significant other with a beautiful, practical gift that is a gift that keeps on giving to the both of you!